Air Purifying filters provide respiratory protection against aerosols by removing dusts, mists, fumes, fibers, and other particles. Filters do not remove gases or vapors, or correct for oxygen deficiency. 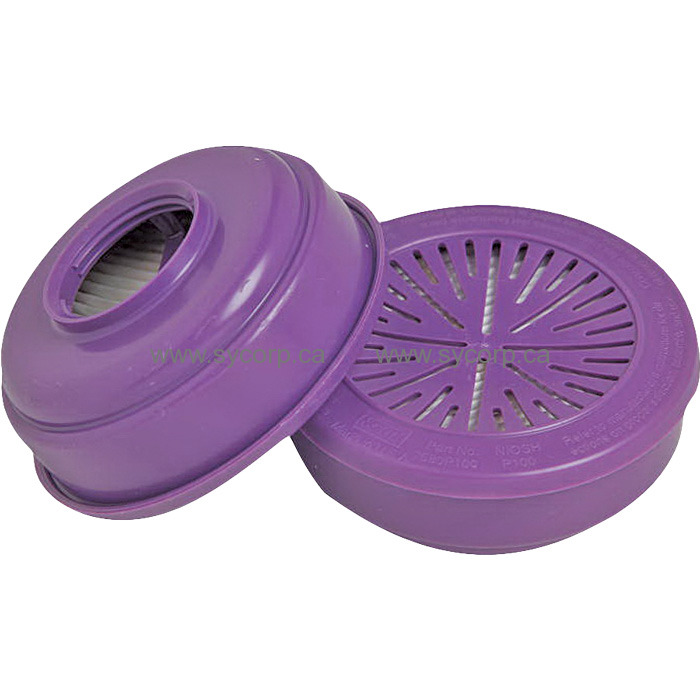 P100 Particulate Filter provide a 99.97% Minimum Filter Efficiency. Typical applications include but are not limited to asbestos or mold removal and lead abatement. (1) Pair of 7580P100 Filters per package. Compatible with North 5400, 5500, 7600 and 7700 Series Masks.